Thanks for joining me on that excursion into awesome 80’s rock. If you tried to skip over watching it, at least start it around 1:15 and get into the spirit of things. Ok, back to LED lighting. While the M12 Rocket Light is not capable of launching anything (except lumens), its bazooka-glam styling is actually quite practical. You can carry it from three sides thanks to the handles the tripod legs create when the light is in stowed (bazooka) mode. It also stows vertically or horizontally (even without the legs deployed), taking up surprisingly little room. Or, conjure up your best Austrian accent. Then fling the M12 Rocket light onto your shoulder as you strut around the jobsite in a muscle shirt and some camo pants. Don’t do this around airports, bridges, tall buildings or presidential convoys, OK? It might sound like “Pinch, Slide, Extend” describes the latest dance craze moves (PLEASE let something replace flossing). Those are actually the key steps to what Milwaukee refers to as the Five Second Setup. The pinch refers to depressing two large tabs. The slide is what you do after the tabs are pinched. And finally extend is when you slide one or two sections upward. I would add “rotate” as the final step where you rotate the LED light head to your preferred angle. Can all this be done in five seconds as claimed? Yes, yes it can. 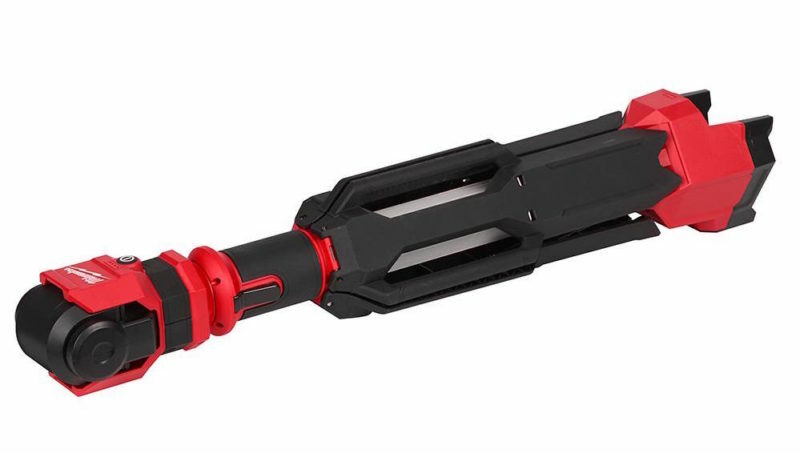 The Milwaukee M12 Rocket Light is a master of speedy deployment AND speedy stow-away. The M12 Tower Light is quick to deploy and great for shedding light in dark corners. Although I haven’t managed to pinch myself, the way the light head nests into the housing of the rocket made me a little nervous I was going to pinch myself. It’s worth using a little caution when retracting the light head. Once you deploy the base legs, you can use the light at three heights. One about 3′, the next at about 4′ and the tallest setting at about 5 1/2′. I did notice in the tallest setting, the pole doesn’t lock into place with a reassuring click (it’s more a friction fit). At the middle setting you can feel the pole lock into position, but at the upper height you just pull until it stops. This left me a little worried the upper section would unexpectedly drop down, but that did not happen in our testing. 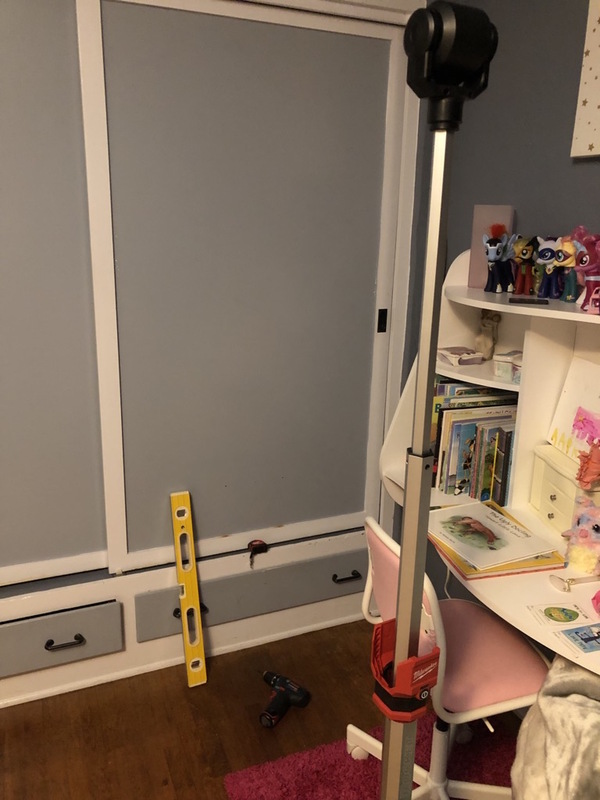 On the plus side, this extension system is very simple to use and it doesn’t have those annoying spring-loaded buttons to mess with – it’s all done with pushing or pulling the extensions. 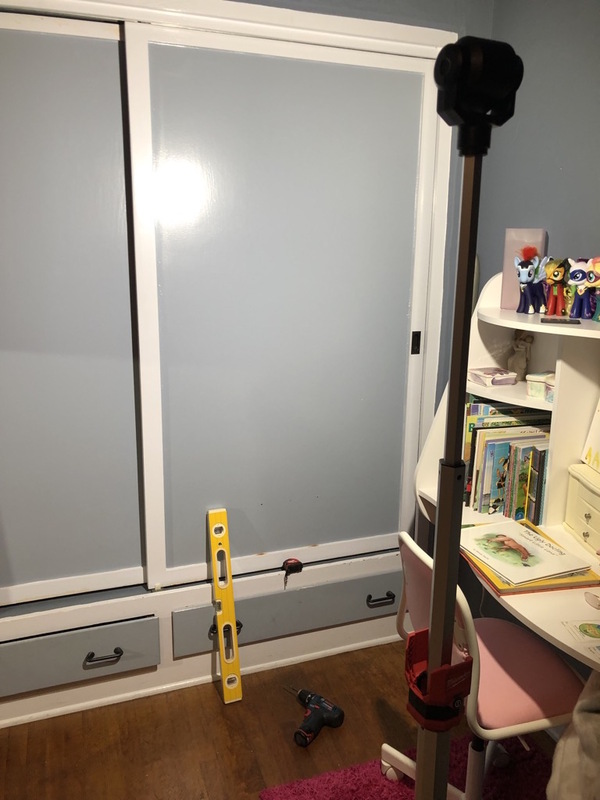 I had the power off while wiring some twinkly lights in my daughters’ room. The M12 helped with useful (and dramatic) uplighting. As you might expect – the Tower Light operates with M12 batteries. 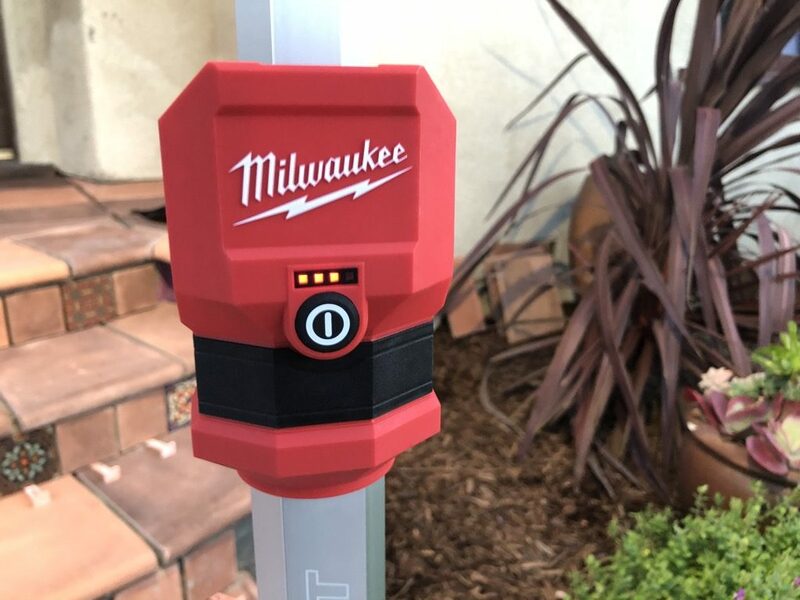 As you probably guessed from the M12 designation, the Milwaukee Tower Light operates quite happily from any of your M12 batteries (regular or high capacity). To me, this is definitely the preferred power source. With M12, you have complete freedom to place the light wherever you want it, and move it around, without being constrained by access to an outlet or the reach of your extension cord. However, if you’re using the light for an extended time period and you don’t plan to move it around, then the optional plug-in capabilities are handy as well. Just plug your extension cord right in and you’ll be illuminating until someone trips your circuit breaker. Or, you can plug it in with an extension cord for endless runtime. According to Milwaukee, an M12 XC 6.0 battery will get you about 10 hours of runtime. I ran it nowhere close to that duration and found even a basic 2.0 M12 battery gave me enough juice for various quick tasks. Thankfully my honey-do list doesn’t have any 10 hour projects. Actually it does, just none that I started. 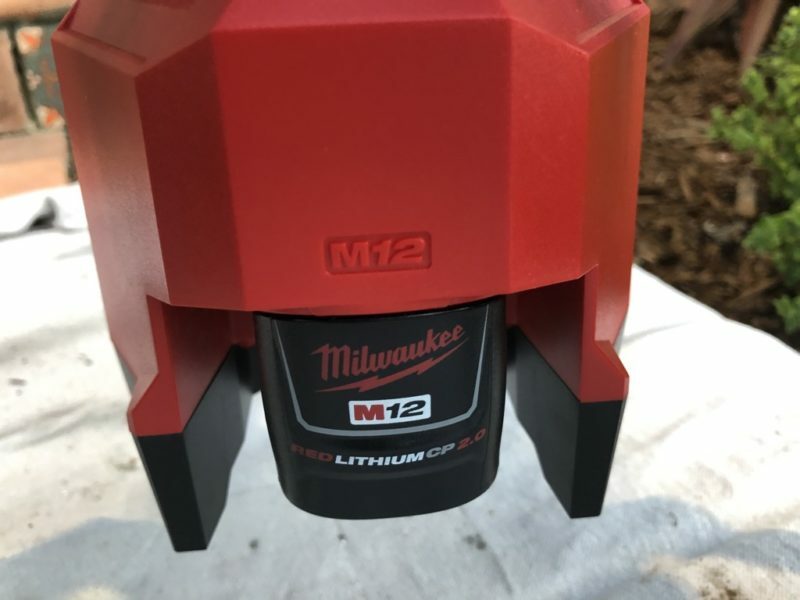 Even if you don’t have a 6.0 battery, most Milwaukee fans will have multiple M12 batteries available for swapping. And there’s always AC if you need it. One thing I was not a fan of is the ease of swapping batteries. There is not much clearance around the M12 battery, and trying to squeeze in the small battery tabs while pulling the battery is a pain. It’s manageable, but less than ergonomic. With all that said, if you will be using this for longer tasks, keep spare batteries handy. Milwaukee kept it simple in terms of settings and controls. Push the power button once for the brightest setting (1400 lumens), once again for the lower setting (700 lumens), and once again to turn it off (zero lumens). When you first fire it up, you’ll be greeted with 1-4 red LED’s on the typical Milwaukee fuel gauge to give you an idea of how long you’ll be lighting up the dark before you need to swap batteries or plug in. 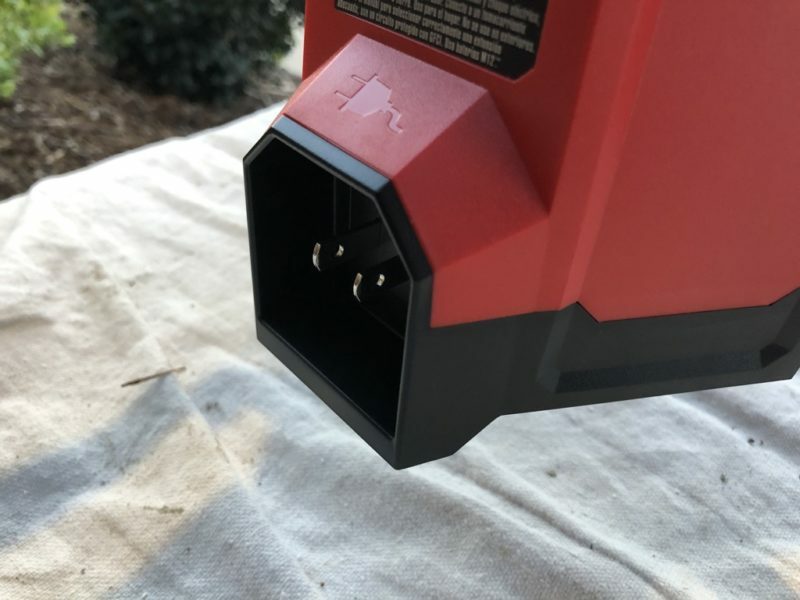 One nice feature is that the Milwaukee M12 Rocket light will flash on and off briefly when you’re battery is running low. This can be a bit of an issue if you’re doing a precision task at that exact moment, but it’s much better than the alternative of unexpectedly running out of juice and being left in the pitch black. Once you get that warning flash, it’s wise to swap out the battery or plug-in, especially if you’re working in total darkness and/or with power tools. If your schedule is at all like mine (God help you), winter’s short days CAN be extended. Here I’m landscaping at night thanks to the M12 Tower Light. Yes, my neighbors think I’m crazy. How Did the Milwaukee M12 Rocket Light Perform? 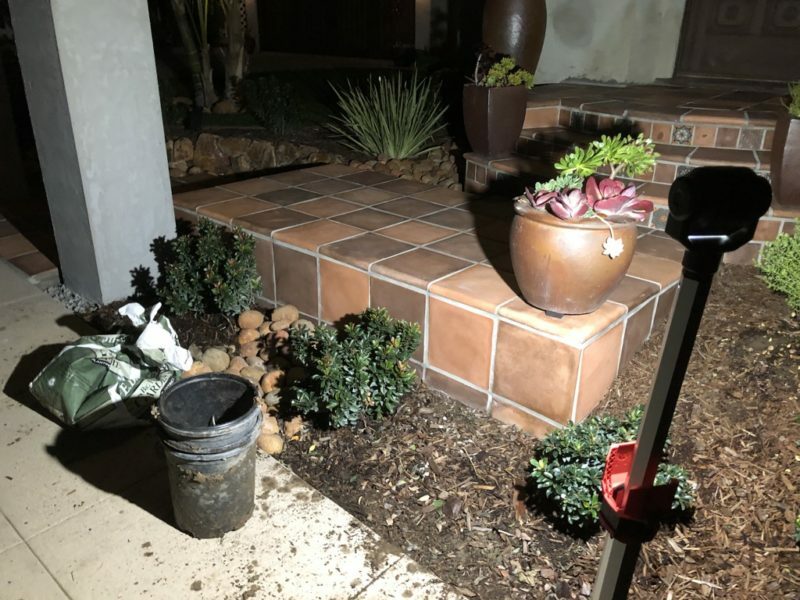 One tricky aspect of many LED work lights on the market is that you have to find a suitable spot to set them down or mount them. Often that means placing the light on the ground, which can create less than ideal lighting unless you’re trying to scare children with dramatic uplighting. One of the key benefits to the Milwaukee M12 Rocket Light is that it comes with its own versatile integrated stand. Assuming you have a reasonably flat surface, you can deploy the M12 Rocket just about anywhere. Better still, is that once deployed, you can dial in the ideal light angle with the various heights, and the head which both pivots and rotates. And, it’s a breeze to reposition as your work progresses. 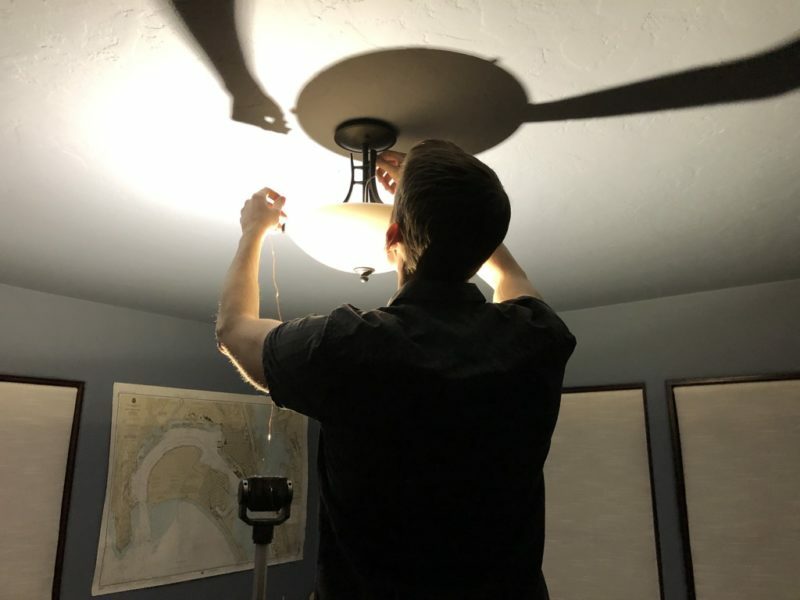 It’s great portable LED light for electrical work when you have the power shut off, or when you’re working somewhere that could use a little supplemental lighting. 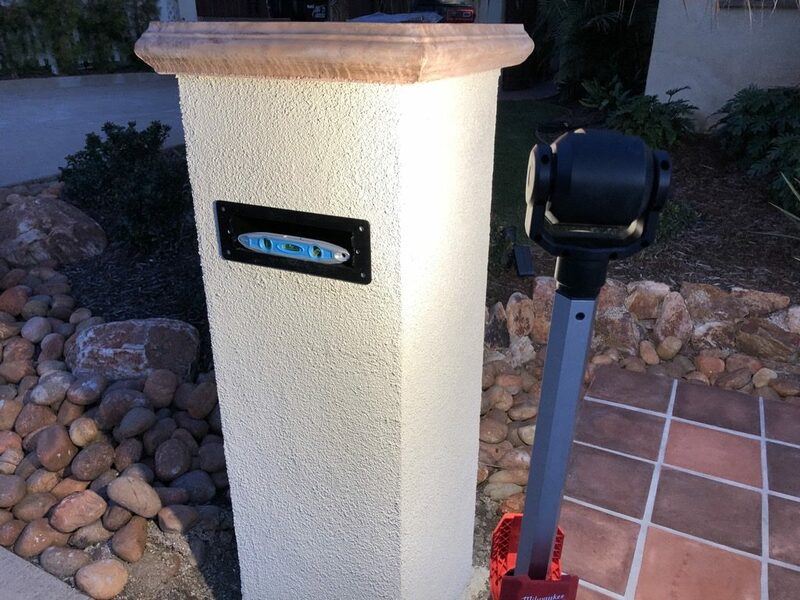 The M12 Tower Light also came in handy while I was installing the mail slot in a new column mounted mailbox. Whether you’re rock’n out to Def Leppard, re-enacting your favorite Commando scene, or just working in dark places, the Milwaukee M12 Rocket light is ready to deploy and illuminate!